Falcon Interactive developing games in all known platforms. No matter what’s your project Falcon Interactive would do best to make it possible in any of the current platforms for almost similar costs. So if your company need iOS game we would give you free (or almost free) Android or even Web, Facebook game. We are always stepping ahead of the competition and giving best to our clients. 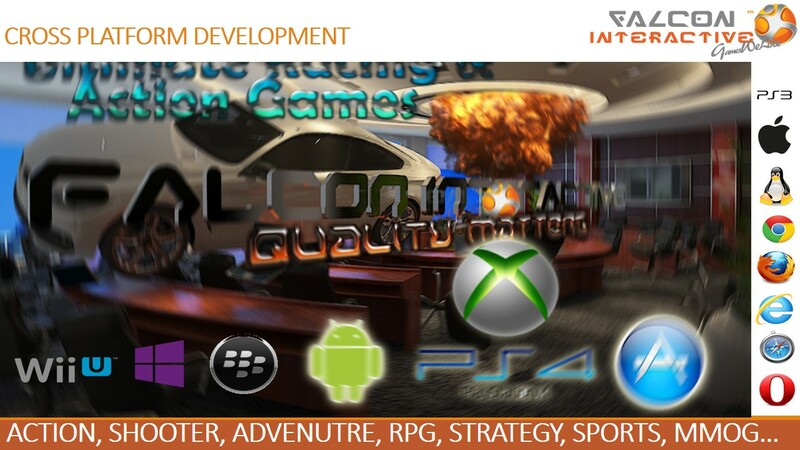 This is our motto and Falcon Interactive continue to delivering high-end quality to its worldwide customers.